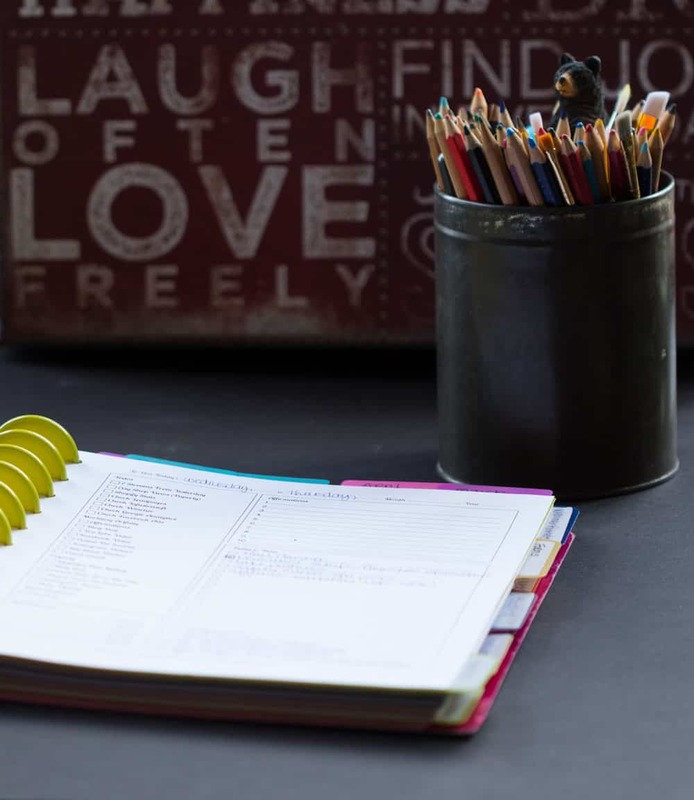 If you are a planner nut like I am, you know that there are a gagillion ways to organize your planner. And for me this changes frequently throughout the year. 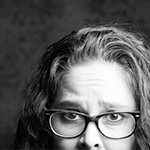 I might be focusing on Blogging or making a course, doing product photography or writing a book at any given time throughout the year. 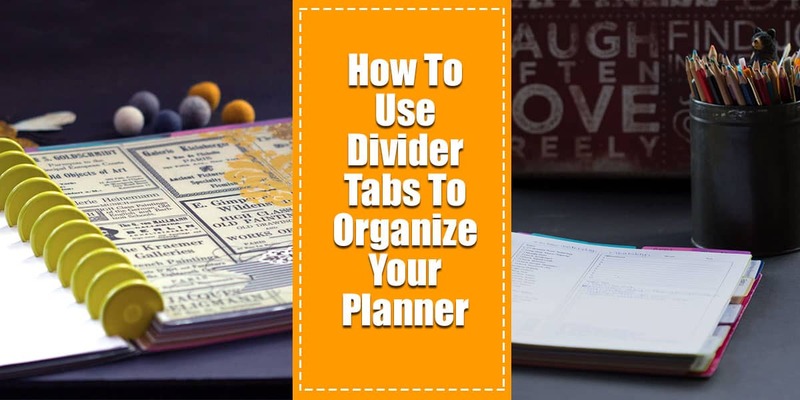 I have to have a great system for using tab dividers to organize my planner (and my life!) This post will go over some of my strategies and tools that I use. 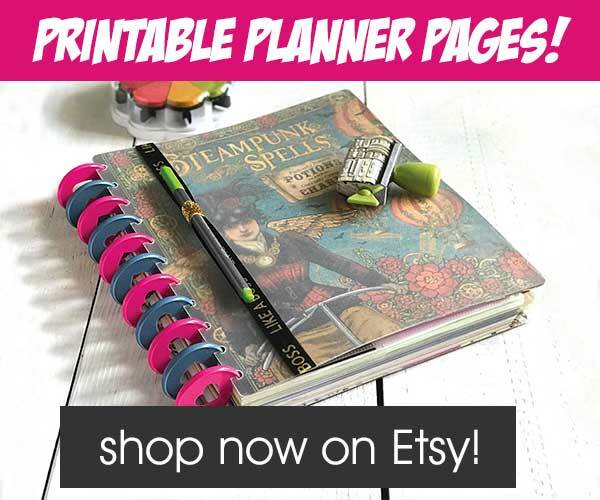 Some are mass produced and some are my own DIY creations, but all add to the effectiveness of my planner! please note that when I recommend a product that I use I am including an affiliate link which will pay me a little bit of money for my recommendation… none of the vendors mentioned paid for a link, all of these are products that I am currently using in my planner!! Okay, let’s start with the big tab dividers in my planner. These are the main areas of my business life right now and just FYI, I recently updated them and moved them around. Please don’t feel like you have to pick something that will last the rest of your life, just make sure it is working for you right now. Numbers – where I obsessively track my stats like income, web hits, social numbers, etc. Make sure your most important sections are RIGHT UP FRONT! Don’t bury your money making sections somewhere you never go, keep them organized right up front and center. I feel like having more divider tabs than less keeps me on track better. If I have to dig around through a section I am less likely to use my planner than if I can pop right into whatever I should be doing right then. for my sections. They come in sets of 5 and I use two sets at a time. This gives me lots of flexibility with my sections without letting me go wild and have TOO many sections going at one time. My next AMAZING divider type is a DIY using scrapbook paper and 10 pound laminating sheets. I simply cut down 12X12 scrapbook paper to fit a letter sized laminating folder and then hole punch the sides. I use these to mark the super important things I am working on right now. For example, instead of having a poly divider for my daily goal sheets I have a DIY divider tab in front of that section. They are wider than my regular letter sized sheets so it is easy to find them sticking out. I thought maybe that hole punching these DIY divider tabs would make them less sturdy, but since I am using 10 pound laminating sheets that hasn’t really been an issue. If you use scrapbook pages that have dimension (sparkles, etc.) you will sometimes not get full stickage (I made that up). I don’t care but if you are super fussy, just use flat scrapbook paper and there will be no problems at all! at the top with the added bonus of moving them around anywhere I wanted. I use as many different colors as I can find and love that this set comes with 4 colors that super pretty. Often I put these on colored tag paper (usually 24 pounds) because it is cheap AND the weight makes it a little easier to find it in my planner. 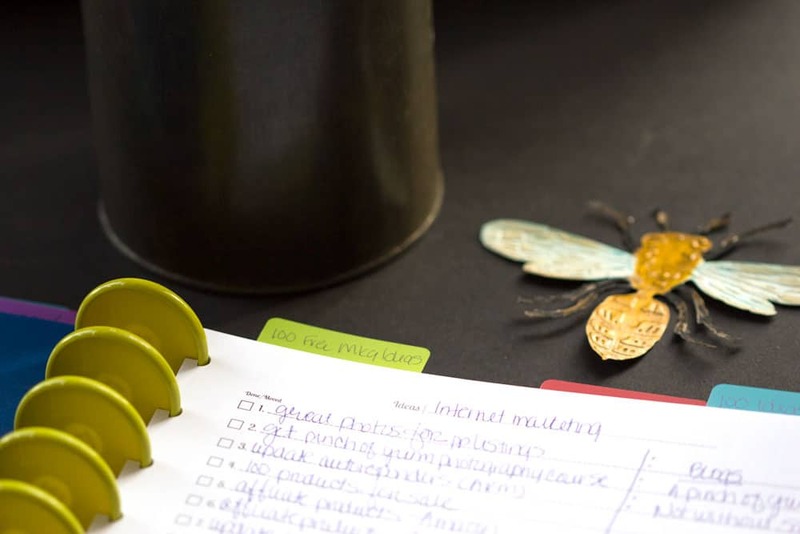 I love the idea of these and probably will order some, although the comments seem to indicate that they are not the most functional of sticky note tab dividers. 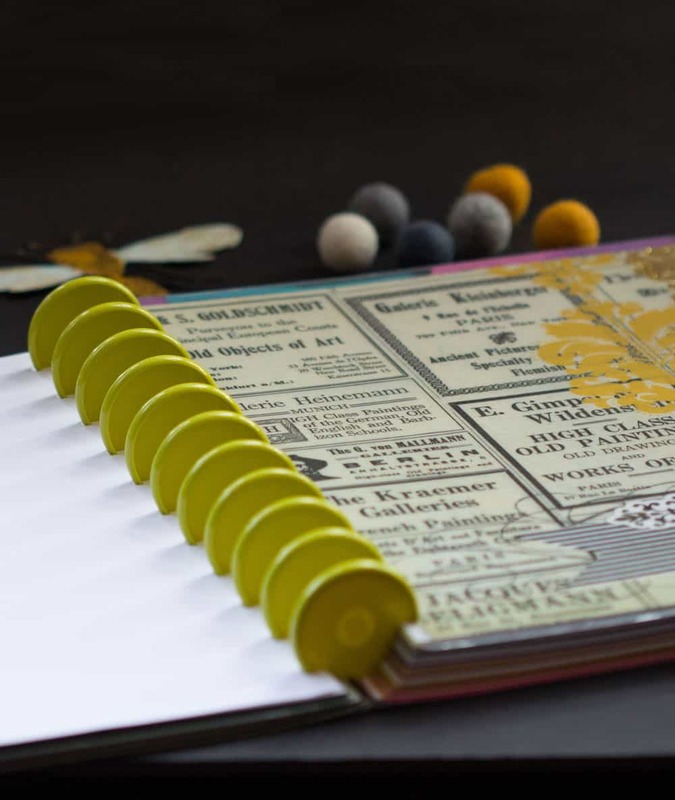 Now that I have shown you how I use all of my crazy organizing tab dividers, I just want to remind you to find the system that works best for you! Don’t give up until you feel super organized and in control. It took me YEARS of trying different kinds dividers and systems until now I have my most glorious planner in the world! You can do it too…just keep trying until you find the perfect planner system for YOU! !